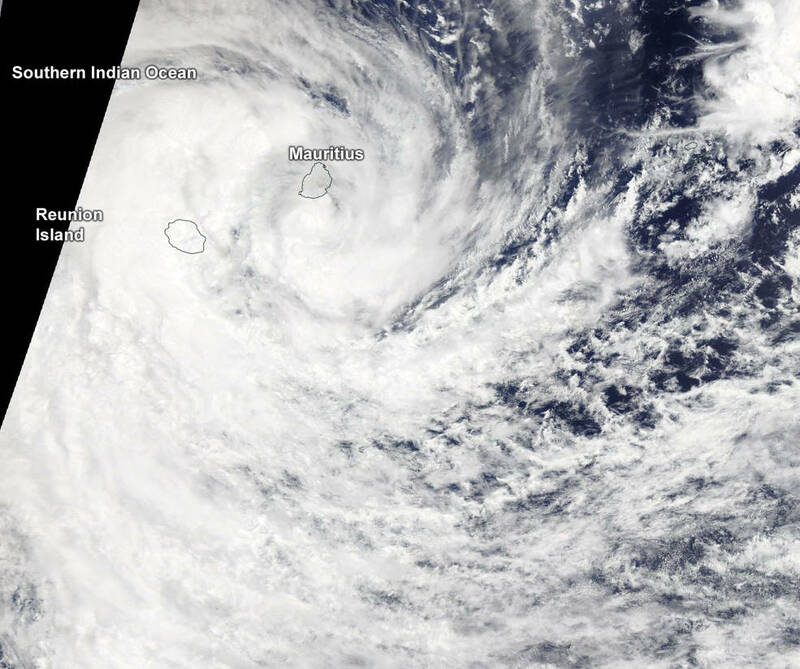 On Jan. 18 at 1:30 a.m. local time, the MODIS instrument that flies aboard NASA's Terra satellite saw Berguitta blanketing both Reunion and Mauritius islands. 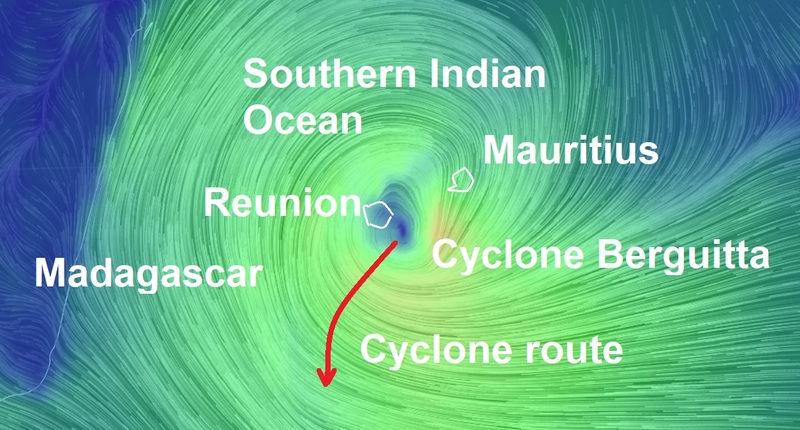 The centre of circulation appeared just south of Mauritius. Thousands of islanders have scrambled to shelters as authorities declared a class III alert for the category three storm which is due to "pass very close to" the Indian Ocean nation last night. A tropical cyclone is bearing down on Mauritius and Reunion bringing 75mph winds forcing authorities to close its port and airport. In a statement, the island's meteorological service: "On this trajectory, tropical Cyclone Berguitta is dangerously approaching Mauritius and Reunion and represents a direct threat to the islands." Winds of up to 75mph hit the island as the storm approached, the service said earlier. Authorities closed the island's airport from 7am today (3am GMT) until further notice. While Port Louis Harbour, the main port, was also shut. It is the country's principal gateway and handles about 99 percent of external trade, including key imports for the country's population of 1.3 million such as food and oil. Etienne Sinatambou, the Minister for Environment and also head of the National Crisis Committee, told a news conference Wednesday afternoon about 2,000 people had been received in 43 storm shelters around the island. An association of vegetable farmers told local media their fields had been flooded and that the prices of fresh produce would likely jump in coming days. Images posted on various social networks platforms showed several roads in the coastal regions of the island flooded. About 300 households were without electricity, according to the Central Electricity Board (CEB). Many residents fear Berguitta will cause extensive damage when it makes landfall, and the island of Reunion was also on alert as the cyclone approached. Soobiraj Sok Appadu, ex-director of the meteorological service, told a radio station he estimated the cyclone might shave between 1 to 2 percentage points from the country's GDP. In February 1994, Cyclone Hollanda killed two people, destroyed 450 homes and caused $135 million in damage when it hit Mauritius.